COMP Cams Camshaft - Quiktyme - Pann Auto Performance - San Diego largest aftermarket automotive performance parts - What do you drive? COMP Cams is proud to introduce newly developed camshaft sets for performance applications. After extensive testing, the COMP Cams engineers have produced Quiktyme Camshaft sets that yield dramatic gains in torque and horsepower. The new COMP Quiktyme Cams are available in four difference configurations; specifically designed for four distinctive RPM bands. 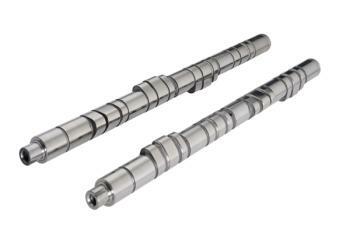 From Serious Street to ProRacing, COMP Quiktyme Cams offers a camshaft set to give you the winning edge. Great street cam for increased power and torque with efficiency. Large increases above stock cam from off idle to the rev limiter. Excellent mid-range to top end power for serious performers. Great top end power for radical street or race applications.